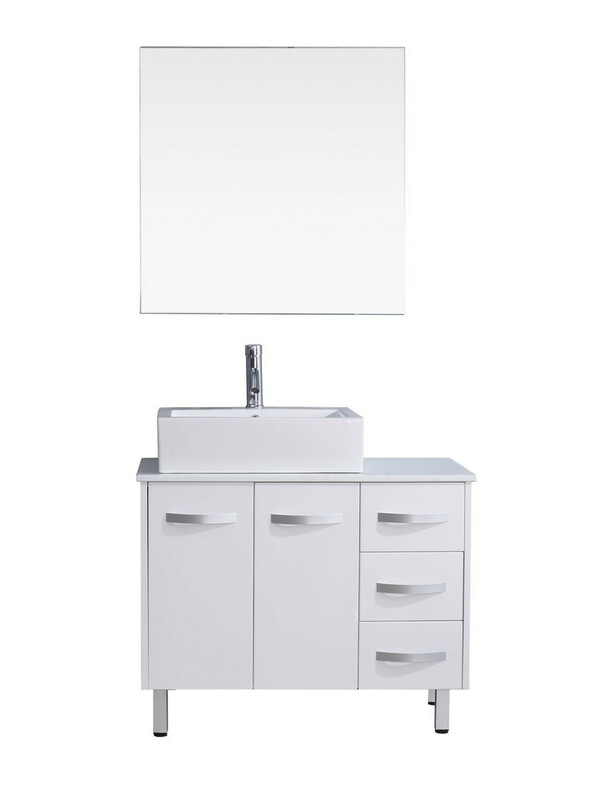 The features of the Tilda vanity emphasize a bold and modern design. An oversized ceramic basin highlights the beauty, balanced with a full size mirror. The countertop, in your choice of White Engineered Stone or Italian Carrara White Marble, further enhances the contemporary concept. Measuring 36”, the Tilda is available finished in espresso, grey, or white, and features beautiful brushed nickel cabinet pulls. The cabinet rests on free standing legs and comes complete with an eco-friendly lifetime warranty faucet. This vanity set will complement any bathroom style. Virtu USA has taken the initiative in changing the vanity industry by adding soft closing doors and drawers to their entire product line. The premium soft-closing hardware not only increases the safety of the vanity, but also its lifetime reliability.